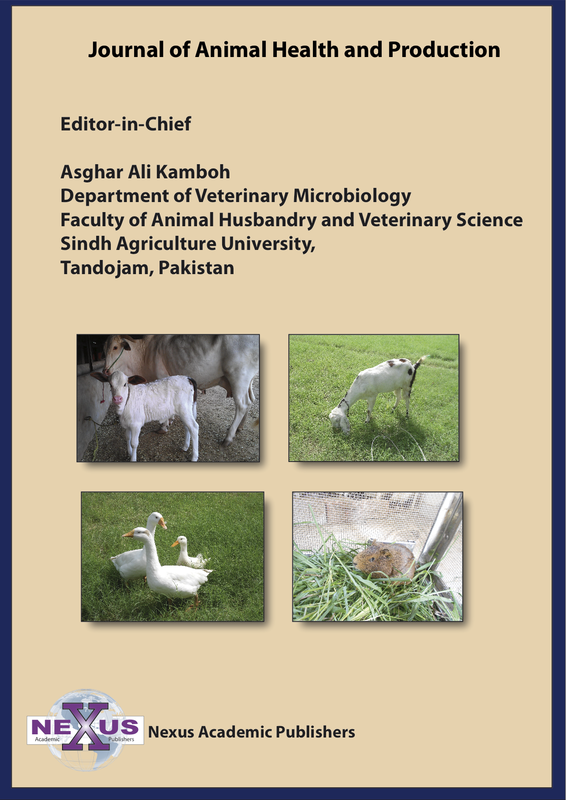 Editor | Muhammad Imran Rashid, Department of Parasitology, University of Veterinary and Animal Sciences, Lahore, Pakistan. Citation | Abdel-Rahman SM, Bakir HY, Othman RA, Khalifa MM (2019). Evaluation of fish capillaria spp. Antigen in diagnosis of human intestinal capillariasis. J. Adv. Parasitol. 6(1): 1-6. Copyright © 2018 Abdel-Rahman et al This is an open access article distributed under the Creative Commons Attribution License, which permits unrestricted use, distribution, and reproduction in any medium, provided the original work is properly cited. 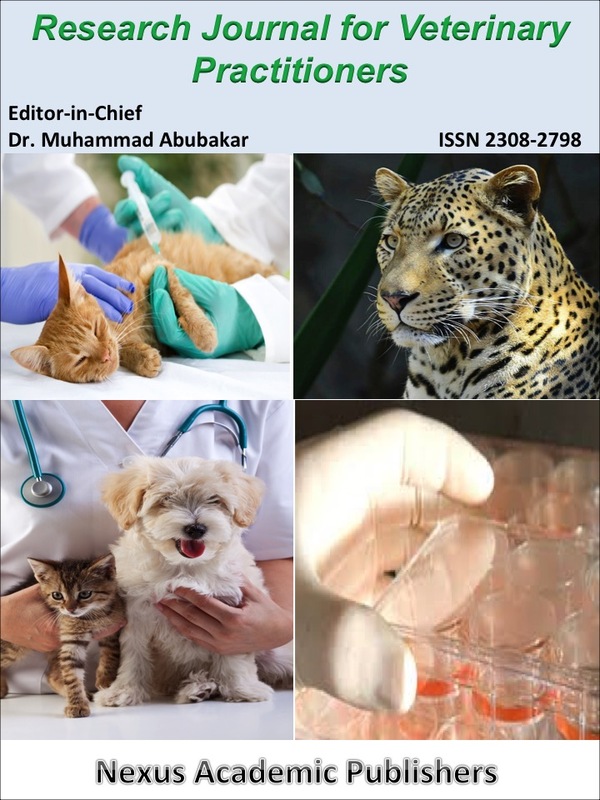 Intestinal capillariasis is one of the emerging zoonotic parasitic diseases caused by a tiny nematode, Capillaria philippinensis (Intapan et al., 2006). This fish born infection is considered an exhausting health problem because of its potential serious and even lethal impact if left untreated (Intapan et al., 2017). The first human case of capillariasis was detected in Philippines in 1963 (Chitwood et al., 1964). Subsequently, many cases have been reported from other Asian countries, such as Thailand where the annual epidemiological surveillance reports described 754 cases of intestinal capillariasisin the period from 1976-2006; most of these cases were occurred in 1978 and 1979 (Saichua et al., 2008). There are many other reported cases in different countries such as, Taiwan (Chen et al., 1989), Korea (Hong et al., 1994), Iran (Hoghooghi-Rad et al., 1987) and India (Kang et al, 1994). Also, sporadic cases where reported from Italy (a person who visited Indonesia) (Chichino et al., 1992) and from Colombia (Dronda et al., 1993). In Egypt, intestinal capillariasis was first reported by Youssef et al. (1989). Up to 2001, forty four human cases were diagnosed in different parts of Egypt (El- Dib and Doss, 2002). Since that time many cases have been identified and diagnosed in nearly all Egyptian governorates with the upper hand to Upper Egypt governorates. In El-Menia governorate, El-karaksy et al. (2004) reported two cases. In Beni-Suef governorate, Amin et al. (2011) reported 8 cases and Ali et al. (2016) reported 14 cases. In Assiut city, Khalifa et al. (2000) reported the fifth case in Egypt and the first one in Assiut. Then Abdel Rahman et al. (2005) reported another case followed by Attia et al. (2012) who reported 21 cases. Human infection with C. philippinensis occurs as a result of eating raw or inadequately cooked small freshwater fish harboring the infective larvae of the parasite in their intestine (Cross, 1992; El-Dibet al., 1999; Khalifa and Othman, 2014). The infected patients are usually presented with abdominal pain, borborygmi, chronic diarrhea, muscle wasting, cachexia, weakness, lower limb edema, low levels of blood potassium and albumin and marked reduction in the levels of proteins and electrolytes (Saichua et al., 2008; Limsrivilai et al., 2014). Once human catches the infection, early diagnosis of the disease is very important. Any delay in diagnosis may result in serious complications that may lead to death (Bair et al., 2004). However in new endemic locality, physicians are not aware with the disease and its consequences. Most clinicians have difficulties in recognizing the symptoms of the infections (Eiras et al., 2018). Accurate diagnosis usually depends on detection of Capillaria spp. eggs and larvae in the stool of the infected patient. These eggs are excreted periodically, and even when they are detected, the untrained person may confuse them with those of Trichocephalus trichiura. Larvae found in the stool are in all stages of development and are difficult to be identified (Cross, 1992). There has been little previous works on immunodiagnosis of intestinal capillariasis because of the difficulty of procurement C. philippinensis antigen. Therefore previous researchers used different antigens for the detection of C. philippinensis antibodies. El-Dib and Doss (2002) and Abdel-Rahman et al. (2005) used C. philippinensis coproantigen or /and egg antigenfor immunodiagnosis of intestinal capillariasis. Intapan et al. (2006) and Intapan et al. (2010) used Trichinella spiralis antigen, a member of super family Trichuroidea, as a substitute antigen for serodiagnosis of human capillariasis. However Trichinella spiralis antigen may be not a suitable antigen in areas endemic for infection with Trichinella spiralis due to cross reactivity. In a trial to overcome these drawbacks, we evaluate Capillaria spp. adult worm crude antigen extracted from domestic fresh water fish in serodiagnosis of intestinal capillariasis. This antigen has the advantages of being easily accessible and does not require laboratory animals to maintain antigen sustainability. Human serum samples were divided into two groups: (1) the positive control group which included 10 samples from parasitologically confirmed intestinal capillariasis patients attending Assiut University Hospital. Examination of their stool revealed eggs, larvae, and/or adult worms of C. philippinensis. (2) The negative control group (n = 10) were apparently healthy subjects which had no symptoms and their stool examination was negative on three consecutive days for any parasite at time of blood sample collection. Pooled positive (n = 10) and negative (n = 10) sera were performed by mixing equal volumes of intestinal capillariasis or healthy control sera. All sera were stored at −70 °C during the study period. 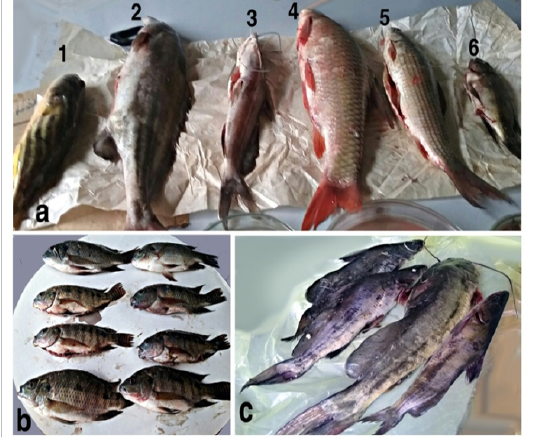 A total of 110 specimens of freshly captured freshwater fishes were examined for possible natural infection of C. philippinensis. They included seven different types; 40 specimens of Oreochromis niloticus (bolty), 30 specimens of bayad (bagrus bajad), 20 specimens of catfish / Clarias spp (karmout), 8 specimens of Nile Lebeo/ Labeo niloticus, 5 specimens of Bottle nose/ Mormyrus kannume, 5 specimens of Barbus bynni and 2 specimens of Fahaka puffer/ Nile puffer. Fishes were dissected and their intestine were transported to small petri dishes containing a small volume of saline, teased apart with a fine needle, examined by the inverted microscope using 4x objective lenses and 10 x eye lenses. Adult worms were picked for antigen preparation. (Figure 1). Figure 1: Group of fresh water fish examined. a: 1-Nile puffer; 2- Bottle nose; 3&c -bagrus bajad; 4-Barbus bynni; 5- Labeo niloticus; 6&b- Oreochromis niloticus. Preparation of fish Capillaria spp. crude worm antigen: According to El-Dib et al. (2004), adult Capillaria spp. worms collected from the stomach and small intestine of the infected fishes were washed several times in PBS and homogenized with tissue grinder in small volume of PBS. After centrifugation at 1000 rpm for 10 minutes, the supernatant was aspirated and its protein content was estimated using Nanodrop method. Antigen was stored at -20 °C till used. Preparation of human C. philippinensis crude worm antigen: Adult worms were picked from freshly voided stool samples of infected patients. Antigen was prepared as previously mentioned protocol. Preparation of C. philippinensis coproantigen: Stool elutes from microscopically confirmed (10) capillariasis patients were prepared by adding 3 parts of .01M phosphate-buffered saline (PBS), PH 7.4, containing 0.05% Tween 20 (PBST) to 1 part of stool in centrifuge tube according to Sykes and McCarthy (2011). The mixture was homogenized by stirring for 3 minutes, sonicated for 5 minutes in an ice bath and then centrifuged at 10,000 rpm for 10 minute. The supernatant was then aspirated and its protein content was estimated, and then stored at -20 C till used. Enzyme Linked Immunosorbant Assay (ELISA): The protocol of the indirect enzyme linked immunosorbent assay used in this study followed those described previously (El-Dib et al., 2004). The optimal antigen, serum and conjugate dilution, determined by checker board titration, were 4 μg protein/ml, 1:100, and 1:1000 respectively. 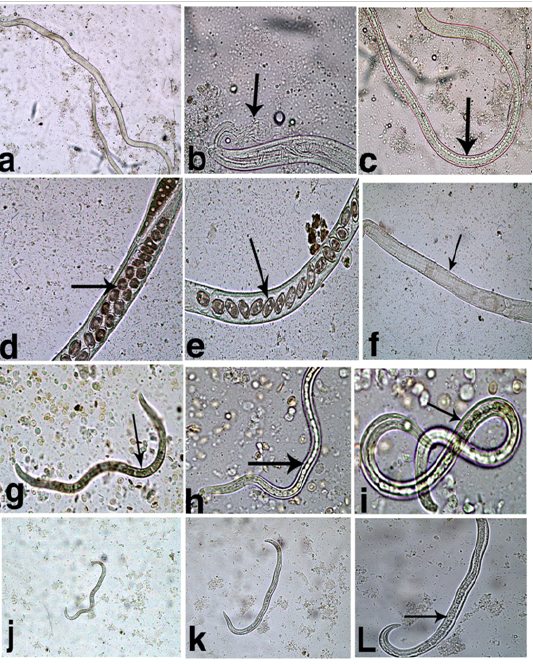 Each well of a flat bottom 96-well microtiter plate was filled with 100 μl of one of the following antigens; human C. philippinensis adult worm, fish Capillaria spp. adult worm crude antigens and C. philippinensis coproantigen. They were tested in 0.1 M carbonate buffer, pH 9.6, and left overnight at 4ºC. After washing with phosphate- buffered saline, pH 7.4, containing 0.05% Tween 20 (PBS-T), 200 μl of 3% bovine serum albumin (BSA) in PBS-T were added to each well and left at room temperature for one hour. The plate was washed again and 100 μl of optimally diluted sera at 1:100 in 1% BSA in PBS-T were added and incubated at 37 ºC for one hour followed by washing five times with PBS-T. Then added 100μl of optimally diluted peroxidase-conjugated goat antihuman IgG antibody (Sigma) in 1% BSA-PBS-T and the solution was incubated for one hour at 37 ºC. Then, the plate was washed five times with PBS-T and all wells were filled with 100 μl of substrate chromogenic solution of 3,3’,5,5’-Tetramethyl benzidine (TMB) (Santa Cruz) incubated at dark place for 15 min. The enzymatic reaction was stopped by addition of 50 µL of 1 M H2SO4 for 15 min. 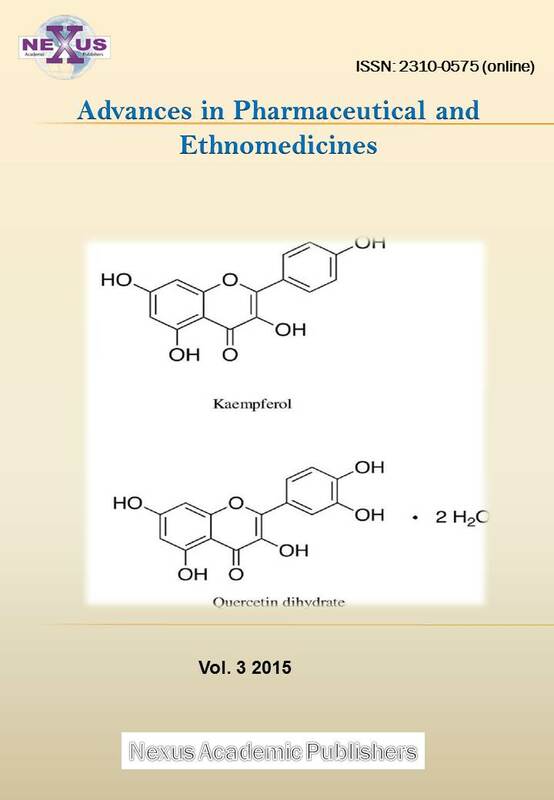 The result of reaction was read at (450–620) nm. The samples were considered positive having OD value double than the value of negative control. Fish examination revealed that only two species of fresh water fishes; bayad (bagrus bajad) and small sized bolty (Oreochromis niloticus) have been infected with Capillaria spp. Different parasitic stages of Capillaria spp. were found as shown in (Figure 2). The esophagus of adult male (Fig. 2a) was composed of a short muscular portion followed by long cellular portion which was formed from a single row of stichocytes (Figure 2c). Posterior end of body is rounded, provided with membranous bursa, supported by 2 digital lateral projections (Figure 2b). In female the uterus contains single or double rows of peanut shaped eggs (Figure 2d, e, f). The larval stages were mainly recovered from bagrus bajad fish. They were morphologically similar but with different lengths indicating advanced (Figure 2g, h, i) and early (Figure 2j, k, l) stages. They were cylindrical in shape, bluntly rounded at both ends with esophagus with stichocytes occupy more than three quarters of body length. Figure 2: Different capillaria spp. stages recovered from fish. a- Adult male; b- Adult male Ant.end showing esophagus with stichocytes; c- Adult male Post.end; d&e- Adult female showing uterus containing peanut eggs; f- Female Ant. end showing esophagus with stichocytes; g- Large sized larva x10; h- Large sized larva x20; I- Large sized larva x40; j- Small sized larva x10; k- Small sized larva x20; l- Small sized larva x40; Arrows pointed to stichocytes. ELISA results showed that at dilution of 1:100, serum from patients infected with intestinal capillarasis reacted with fish Capillaria spp. crude worm antigen with OD value 0.865. C. philippinensis crude adult worm and coproantigen reacted with tested serum at 0.954 and 0.760 respectively. None of healthy control sera was reactive to them. Different OD values are shown in the Table 1. It has been clearly demonstrated that the prevalence of intestinal capillariasis has grown in Egypt in last years that is considered a country outside the endemic zoneas more than 100 cases have been reported (El-Dib and Doss, 2002; Attia et al., 2012). There is a strong association between infection and fish consumption. Assome of Capillaria infected patients gave a history of eating raw whole fish, while others gave history of eating raw parts of fish or half-cooked fish (El-Dib and Doss, 2002). El-Karaksyet al. (2004) reported two sisters infected with C. philippinensis, who had a habit of eating raw fish as their father was a fisherman. Also Ahmed et al. (1999) diagnosed 4 cases of C. phillipinensis three of them were females, who frequently clean, cook and eats fish. They presented with chronic watery diarrhea more progressive than with other common causes of diarrhea in Egypt. In the present study, seven species of freshwater fish commonly found in fresh water in Egypt were selected for examination. These fishes are usually caught in large quantities for domestic consumption and may act as natural intermediate host for C. philippinensis. Adult and larval stages of Capillaria spp were recovered from only two species, bayad (Bagrus bajad) and bolty (Oreochromis niloticus). This finding is to some extend similar to Mohamed et al. (2003) who found only adult Capillaria spp. in bayad fish collected from Dakahlyia Governorate. Also, Khalil et al. (2016) found only adult Capillaria spp. collected from the stomach of the fresh water fishes, Bagrus docmac and B. bayad from Menoufia and Kalyobia Governorates. Khalil et al. (2014) in Saudi Arabia, recorded only Capillaria sp. larvae in all species of examined marine fishes, Bagrid sp was one of the studied fishes. Similar results recorded by Okpasuo et al. (2016) in Neigeria who detected five species of Nematodes (Camallanus spp, Procamallanus spp, Cucullanus spp and Philonema spp) in the intestine of Bagrid sp. including Capillaria spp. The recovered adult male and female worms were morphologically similar to those previously described by Moravec (2001). As regard to the larvae recovered from the positive fishes in the current study, they were morphologically similar to that described by Bhaibulaya et al. (1979) in Thailand, after experimental infection of fresh water fishes with embryonated C. philippinensis egg recovered from patients stool. Since its discovery by Chitwood et al. (1968), few researches worked on immunodiagnosis of capillariasis. This may be attributed to the unavailability of Capillaria philippinensis antigens and failure to maintain the infection in laboratory animals. On the other hand, many attempts were carried out using different antigens that are closely related to it either from the same super family or even the same genus. In the present study we evaluated the reactivity between sera of infected patients with intestinal capillariasis, against fish Capillaria spp. antigen for diagnosis of C. philippinensis. The study showed that fish Capillaria spp. crude worm antigen has the same diagnostic value as C. philippinensis crude worm extract at 1:100 serum dilution. It should be a considerable finding as human and fish Capillaria worms belong to the same genus and possess stichosome which is a rich source of antigen. Similar results were obtained by Banzon et al. (1975) who used C. obsignata (Capillaria of poultry) as antigen for serodiagnosis of human intestinal capillariasis by indirect hemagglutination and double diffusion tests. Also (Andrade and Andrade, 2004; Intapan et al., 2006) reported that Capillaria hepatica of the same genus can be a good substitute of C. philippinensis antigen in immunodiagnosis as it easily transferred and maintained in the laboratory animals. The other antigen used in this study was Capillaria coproantigen. That was able to detect anti-Capillaria antibodies in the sera of infected patients with similar optical density (OD) value that is produced with human Capillaria crude worm antigen and fish Capillaria antigen. Relatively similar results were obtained by El-Dib et al. (2004) and Abdel-Rahman et al. (2005) who concluded that coproantigen reacted with the infected patient serum and didn’t cross- react with some other helminthes. The present study declared that fish Capillaria antigen is a valuable tool of serodiagnosis of intestinal Capillariasis. 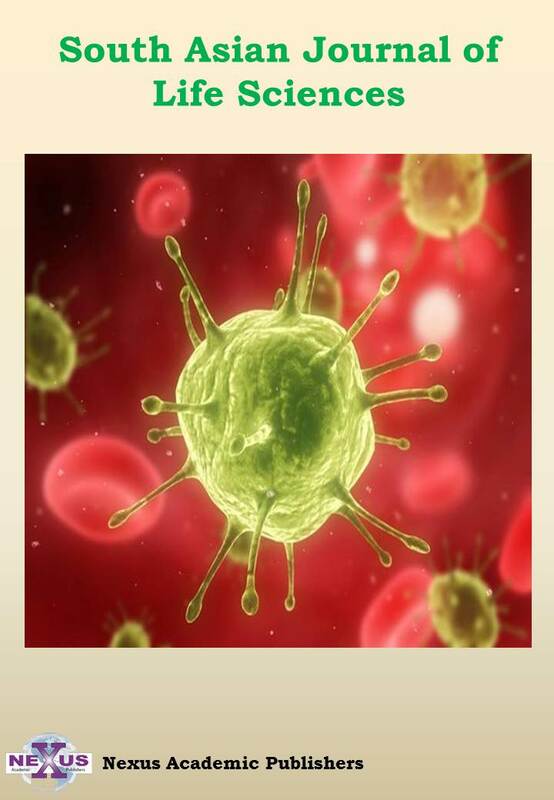 It has many advantages such as being easily obtained and prepared and does not require laboratory animals to maintain antigen sustainability. Future studies are needed to characterize this antigen. Ethics approval and consent to participate: An official letter of approval to conduct the study was obtained from Ethical Committee in faculty of medicine, Assiut University. Also from ethical point of view, all subjects were informed about the objectives of the research before sample collection. 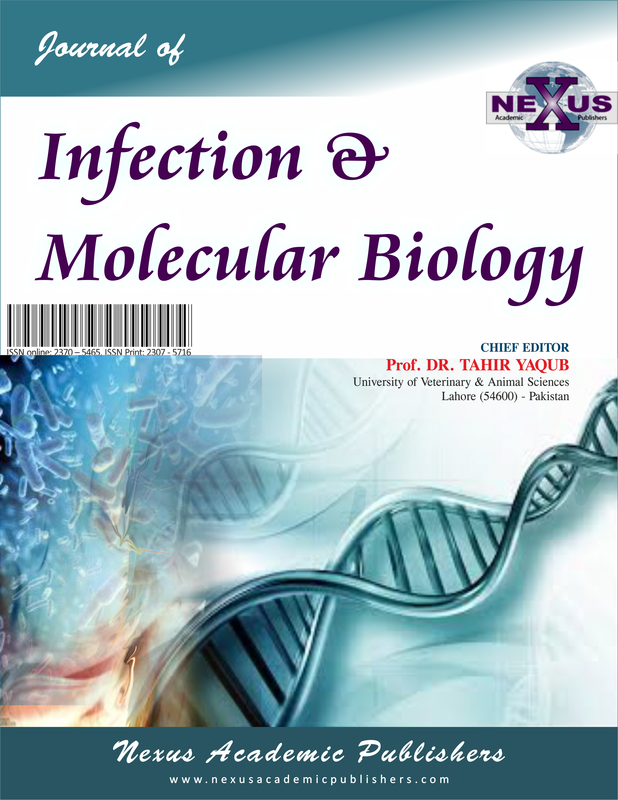 Our special acknowledgment to Dr. Mohamed Ahmed El-Mokhtar “Lecturer of Microbiology and Immunology, Faculty of Medicine, Assiut University” for his significant support and excellent advice during the preparation of this work. Idea by Salma M. Abdel-Rahman, Mervat M. Khalifa performed the laboratory works and collected data, Salma M. Abdel-Rahman, Hanaa Y. Bakir and Ragaa A.Othman helped with the laboratory analysis of samples,collection of papers, data analysis and writing the manuscript, Salma M. Abdel-Rahman revised the manuscript. •	Abdel-Rahman SM, Moneib ME, Shahin MS, Abdel Aziz LA (2005). Immunodiagnosis of Capillaria philippinensis by western blot using coproantigen and egg antigen. El-Minia Med. Bull. 16 (2): 9-17. •	Ahmed L, EL-Dib NA, EL-Boraey, Ibrahim M (1999). Capillaria philippinensis: an emerging parasite causing severe diarrhea in Egypt. J. Egypt. Soc. Parasitol. 29 (2): 483-493. •	Amin FM, El-Dib NA, Yahia EA, Ali MI (2011). Clinical and laboratory investigation of Capillaria philippinensis infection in Beni suef governorate, Egypt. Thesis for Master degree in Medical Parasitology, Faculty of Medicine, Cairo University. •	Attia RAH, Tolba, MEM, Yones DA, Bakir HY, Eldeek HEM, Kamel S (2012). Capillaria philippinensis in upper Egypt: has it become endemic? Am. J. Trop. Med. Hyg. 86 (1): 126–133. https://doi.org/10.4269/ajtmh.2012.11-0321. •	Chen CY, Hsieh WC, Lin JT, Liu MG (1989). Intestinal capillariasis Report of a case. J. Taiwan. Med. Assoc. 88: 617-20. •	El-Dib NA, Ahmed JA., El-Arousy M, Mahmoud MA, Garo K (1999). 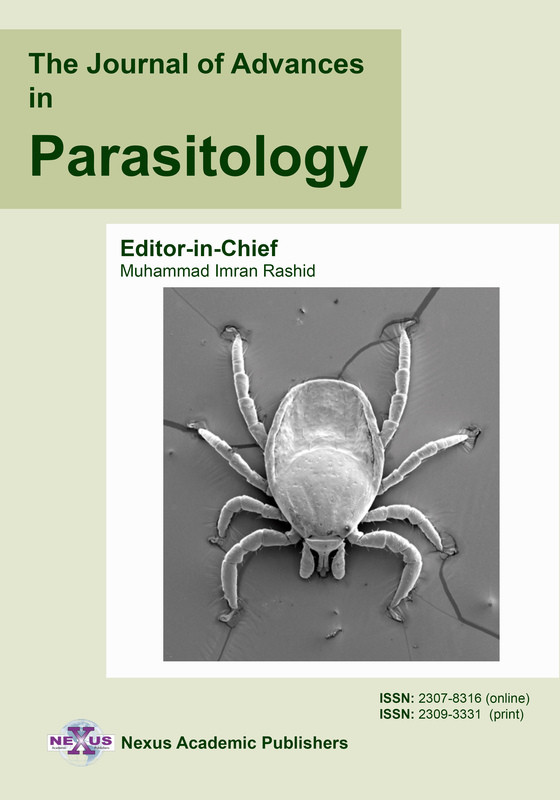 Parasitological aspects of Capillaria philippinensis recovered from Egyptian cases. J Egypt. Soc. Parasitol. 29 (1): 139-147. •	El-Dib NA, Doss WH (2002). Intestinal capillariasis in Egypt. Epidemiological background. J. Egypt. Soc. Parasitol. 32(1): 145-154. •	El-Dib NA, El-Badry AA, Ta-Tang TH, Rubio JM (2015). 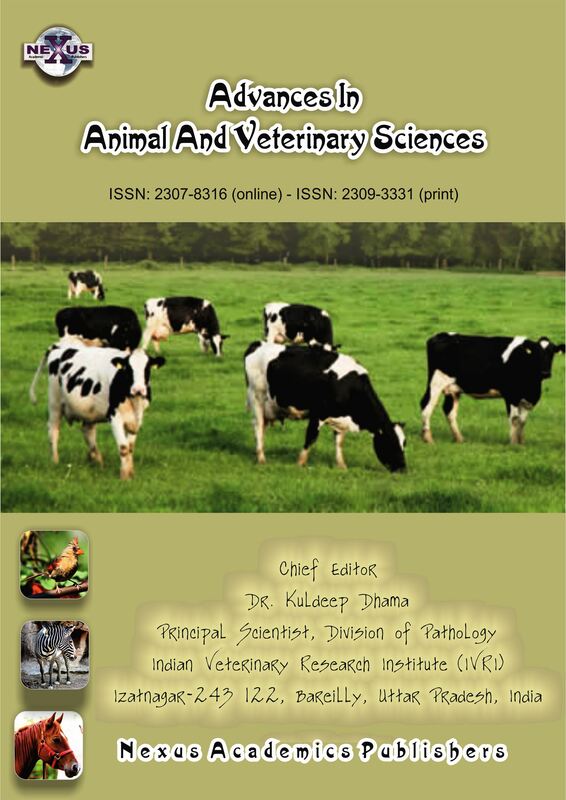 Molecular detection of Capillaria philippiensis, an emerging zoonosis in Egypt Exp. Parasitol. 154:127-133.76. •	El-Dib NA, Sabry MA, Ahmed JA, El-Basiouni SO, El-Badry AA (2004). Evaluation of Capillaria philippinensis coproantigen in the diagnosis of infection. J. Egypt. Soc. Parasitol. 34(1):97-106. •	Khalifa RM, Sakla A, Hassan AA (2000). Capillaria philippinensis (Nematoda: Trichinellidae), A human intestinal nematode newly introduced to Upper Egypt. Helminthologia. 37(1): 23-27.